Keiichi is a first year and is the youngest male competitor. He plays the cello. He is very drowsy all the time and often seems confused or in a daze. Keiichi can be found sleeping anywhere, anytime. Kahoko first met him lying on the ground, fast asleep. His life seems to revolve around music - he tells Kahoko that he sleeps, wakes up, plays the cello, then repeats the process, other than eating and visiting the library - and he loves to play the cello. He enjoys reading as well as studying the history of music and structures of instruments. 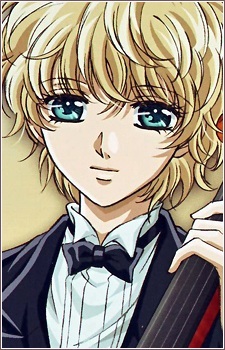 In time, he becomes interested in Kahoko because of her carefree music.